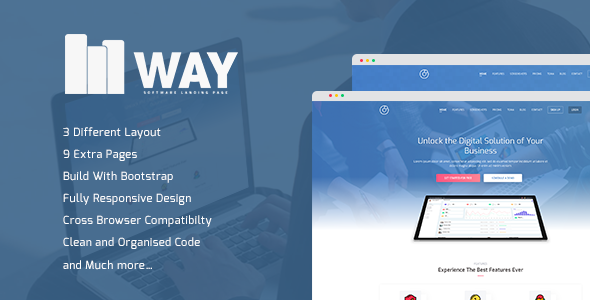 Way is clean and lightweight Software landing page HTML template. This is One Page Template is ideal for showcasing Saas, WebApp and Software landing page. It is designed with Unique concept, clean & modern Look. 9 Landing Page Layout Variations.